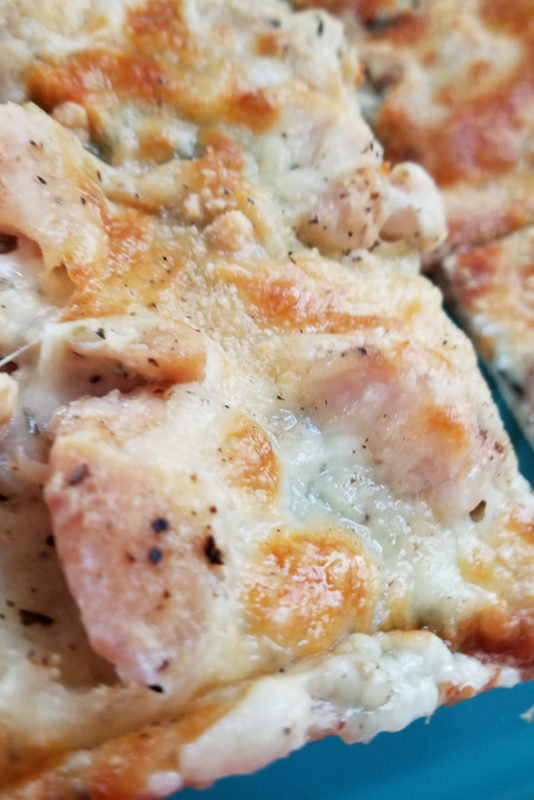 Pizza is always a hit at our house, and this Skinny Chicken Alfredo Pizza has become one of our son’s favorites. 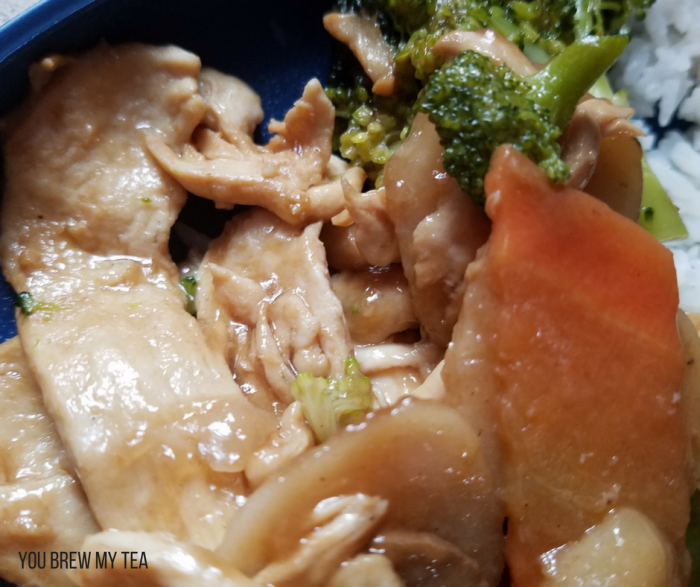 It’s easy to customize with more veggies if you want, or just like it is. 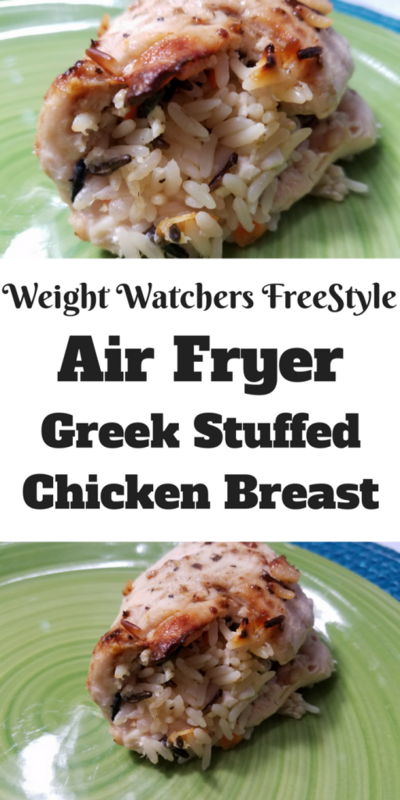 And, using the homemade dough that is easy to make, you’ll find it lower in points and a perfect option for staying satisfied while still eating healthier on the Weight Watchers program. 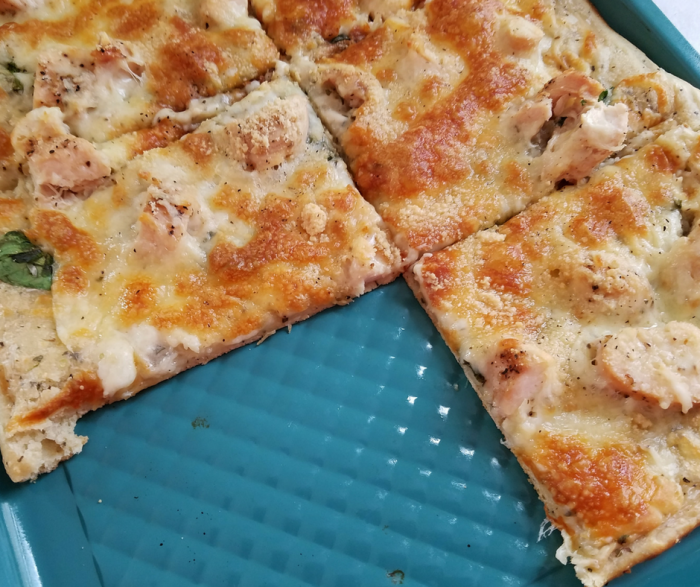 Making a great homemade pizza is one of the best ways to save on calories and points while still enjoying the food you love. For years, I have picked the alfredo flavored sauces on pizzas, but it can be so heavy in calories and fat. 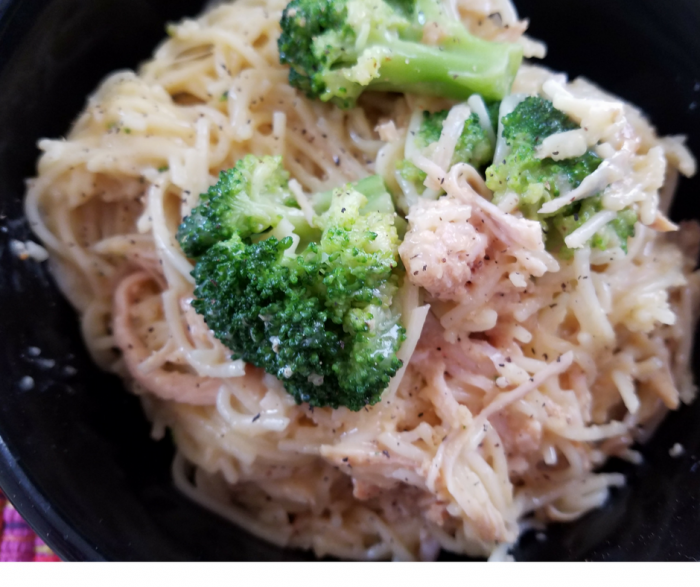 While I prefer completely homemade, the use of a light bottled alfredo sauce really makes a difference in this case. It’s simple, easy, and does the trick for low points! In a large bowl, mix together the Greek yogurt, flour, garlic powder, and Italian seasoning. This will create a sticky dough. You will start with 1 1/4 cups flour and can add 1 1/2 cups flour to help dough form if needed. Spread dough over pizza pan or baking sheet. We used a traditional 11″x17″ baking sheet. It will take work to pat down and spread dough to fit into the pan, and the dough will be thin. 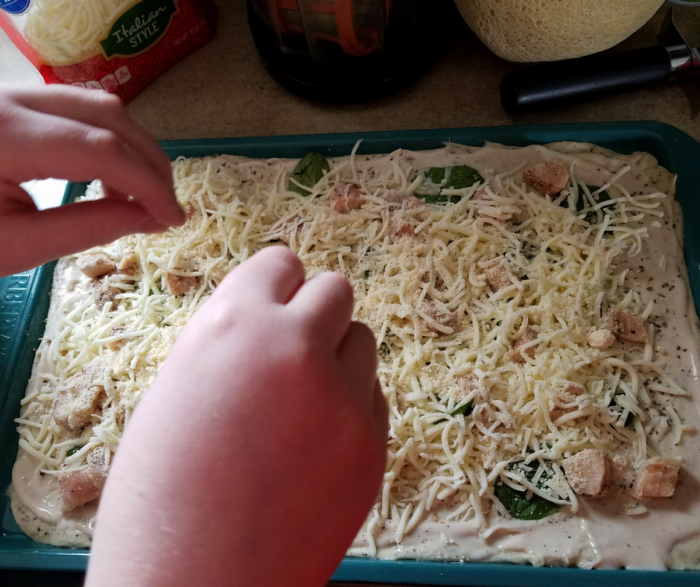 Using a spoon, spread the Alfredo sauce over the dough. You may sprinkle extra Italian seasoning over this if desired. Sprinkle the spinach and chicken over the top of the sauce. Spread to make sure there is a little on each piece. Top with mozzarella cheese covering all areas. Bake at 375 degrees for 15-17 minutes or until the top is golden brown and bubbling. In a large bowl, mix together the Greek yogurt, flour, garlic powder, and Italian seasoning. This will create a sticky dough. You will start with 1¼ cups flour and can add 1½ cups flour to help dough form if needed. 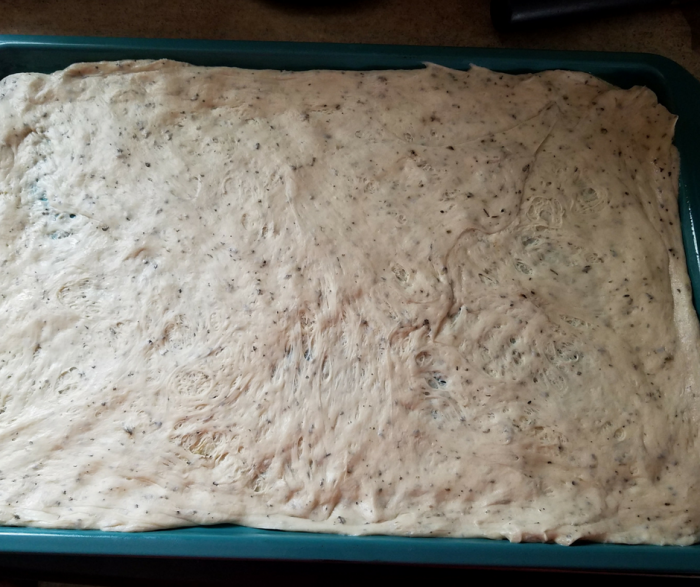 Spread dough over pizza pan or baking sheet. 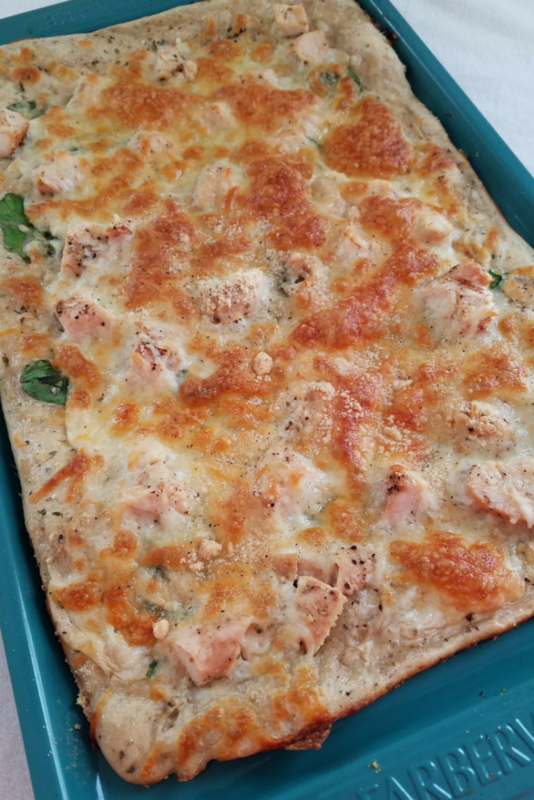 We used a traditional 11"x17" baking sheet. It will take work to pat down and spread dough to fit into the pan, and the dough will be thin. 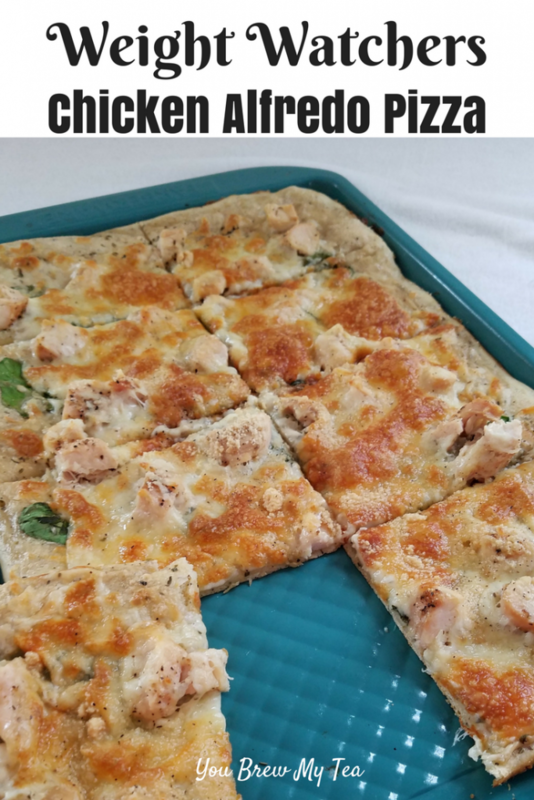 Making our skinny chicken alfredo pizza as a diet-friendly and kid-friendly meal is going to become a brand new favorite on your meal plan. 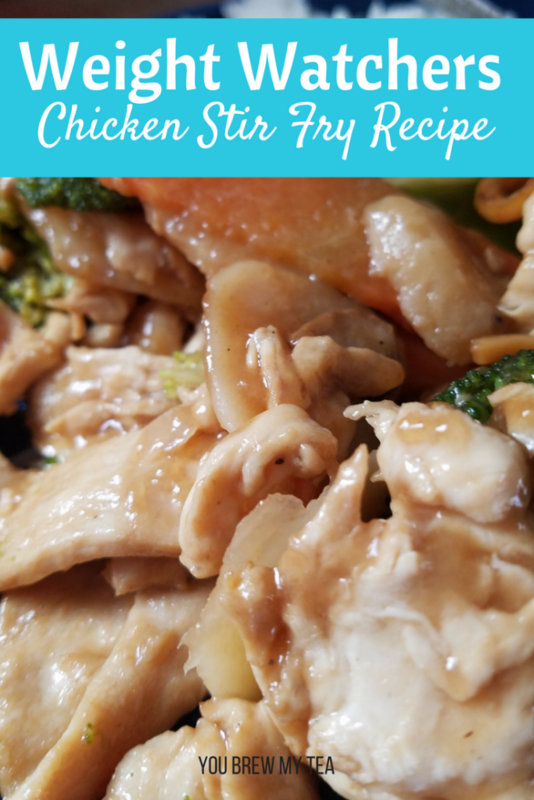 It’s also a great way to use up just a little leftover chicken or random fresh vegetables in your refrigerator! 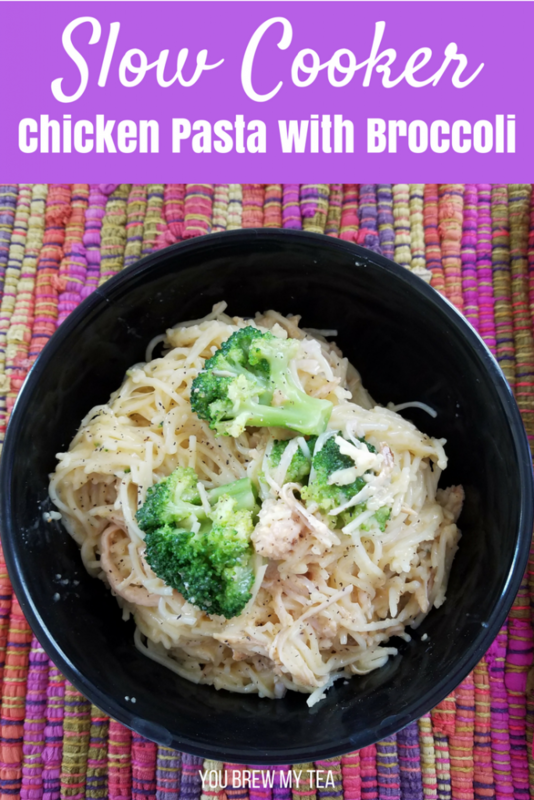 We love it with added bell pepper or black olives, and my Beau loves adding mushrooms to his! 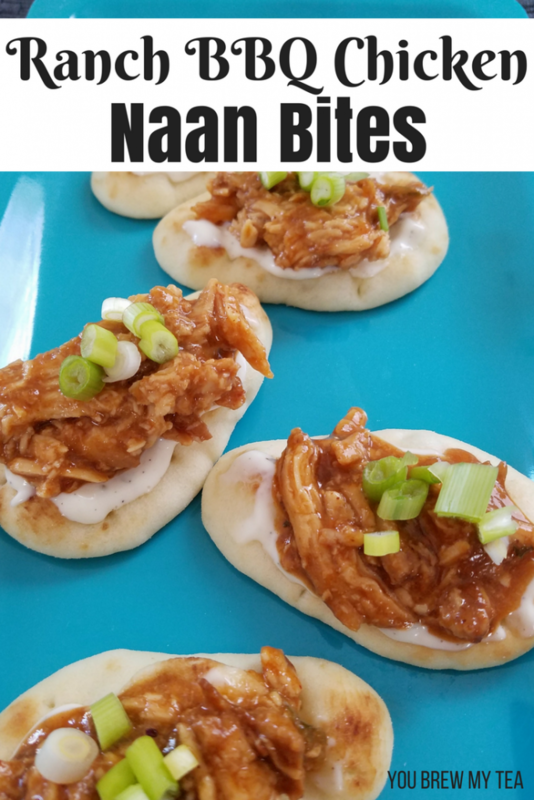 We love easy meals, and recently I found these naan bites that have made meal time so much easier! 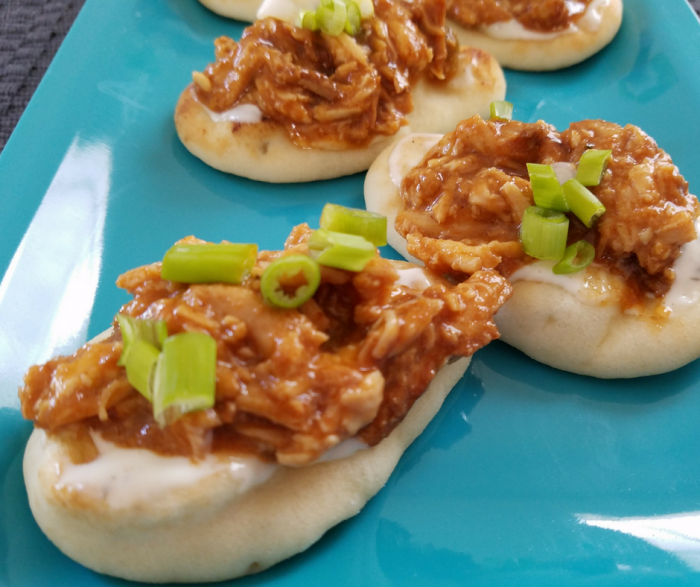 These Ranch BBQ Chicken Naan Bites are now one of our favorite easy meals. 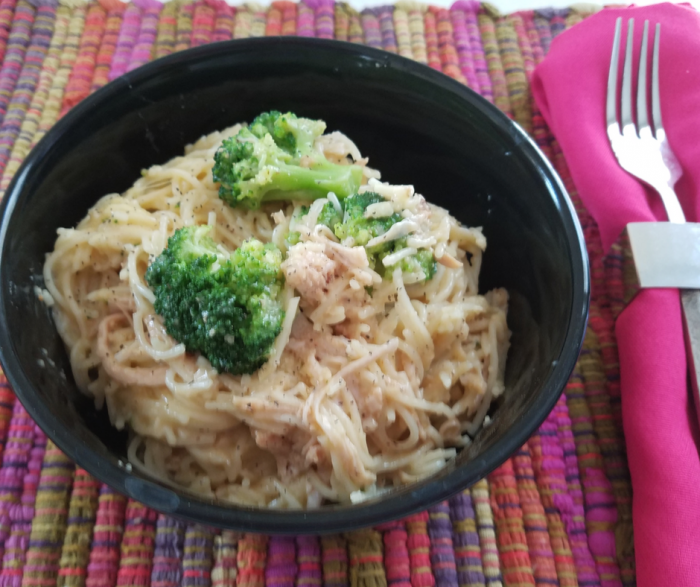 I can use shredded jackfruit on mine if not eating meat, and the guys can use this easy shredded chicken recipe. You can use a bottle of your favorite barbecue sauce, but we prefer this homemade mixture. While it isn’t sugar-free and does have points, I prefer it over most of the sugar-substitutes and corn syrup in other bottled versions. 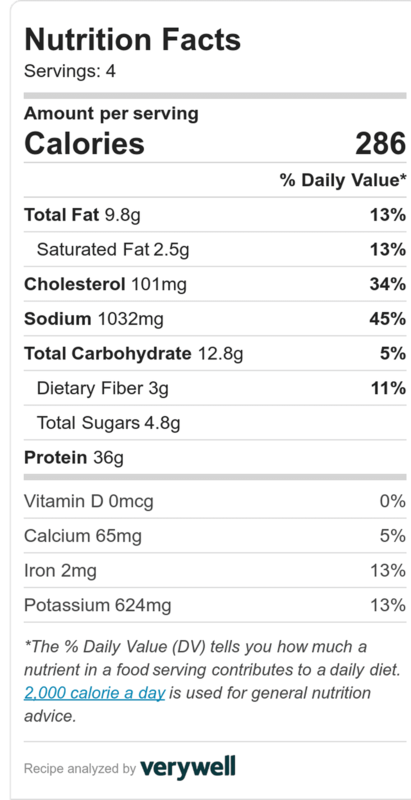 Also, we use the zero point Ranch dressing dip recipe, but you can also use any light or regular Ranch and just account for the points as needed. 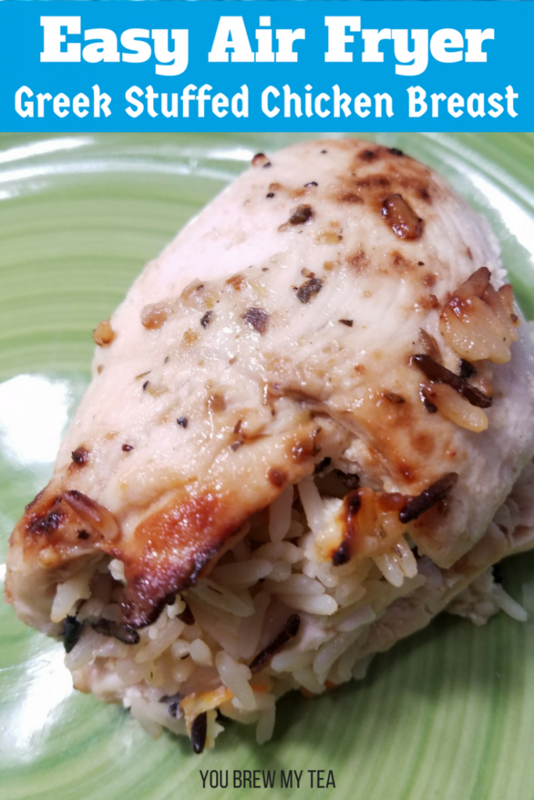 For the shredded chicken, I use this method for how to shred chicken. 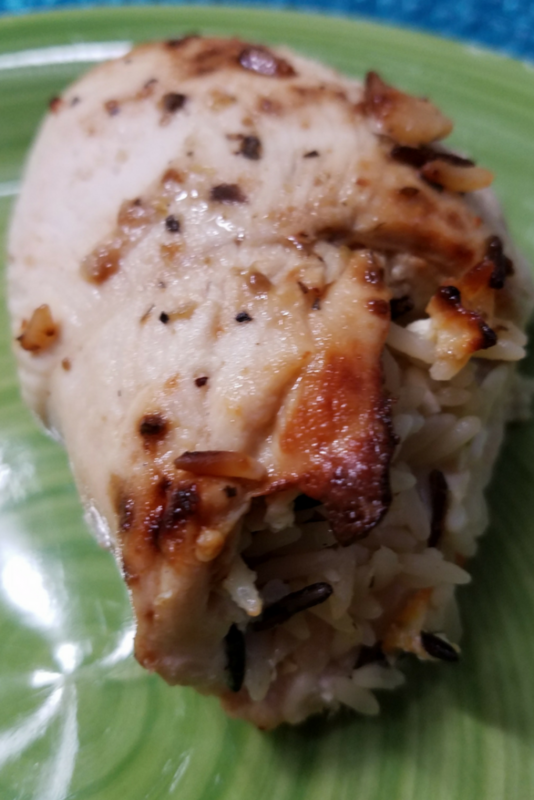 We cook chicken breasts in batches using various methods. 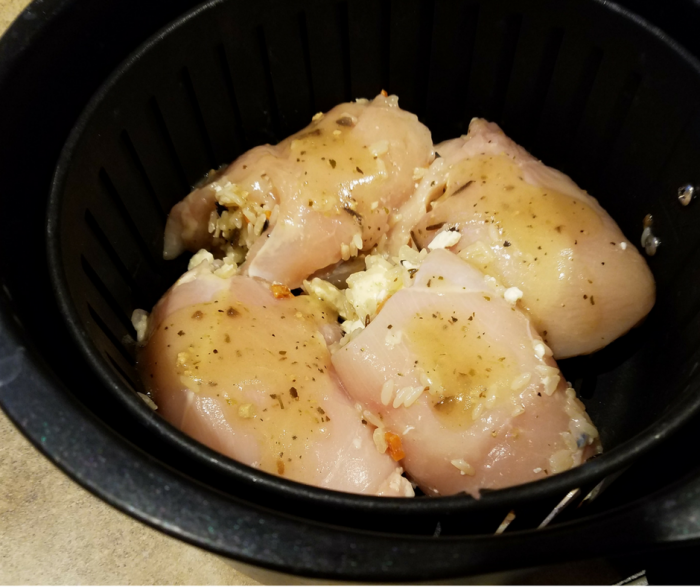 Baking, Instant Pot, Crockpot, or stove top are all easy methods of cooking chicken in batches, but you can also find already shredded chicken in many grocery stores near the rotisserie chicken. 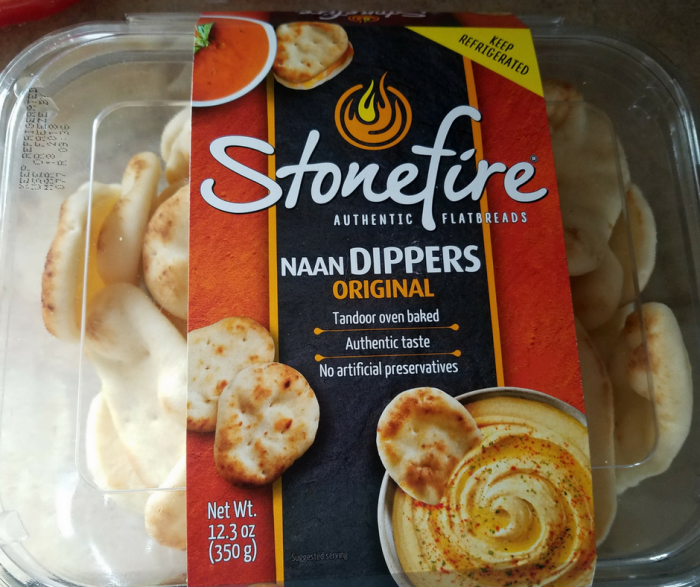 Place Naan dippers on a baking sheet and cook at 400 degrees for 7 minutes or until heated through. In a large stockpot, combine ketchup, mustard, brown sugar, apple cider vinegar, Worcestershire sauce, garlic powder, and onion powder on high heat. Bring to a boil, stirring occasionally, then reduce heat to medium. Add the chicken to the sauce mixture and cook for an additional 5 minutes or until chicken is heated through. 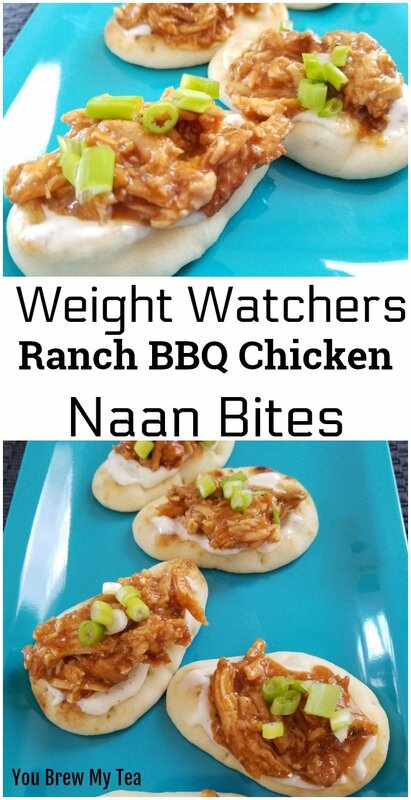 Spread Ranch dip or dressing on Naan dippers, using about 1/8 teaspoon for each dipper. Use just enough to coat the top of the Naan. 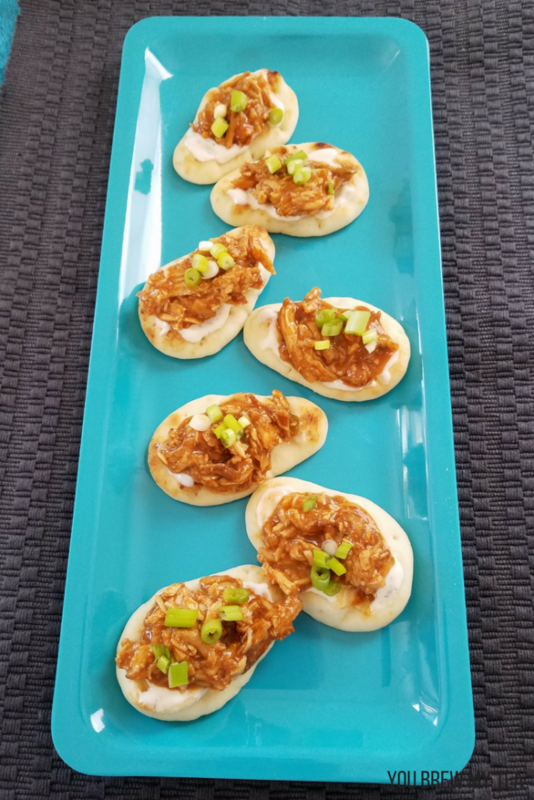 Spoon 1 tablespoon chicken mixture onto each piece of Naan and then top with a few pieces of green onion. Spread Ranch dip or dressing on Naan dippers, using about ⅛ teaspoon for each dipper. Use just enough to coat the top of the Naan. 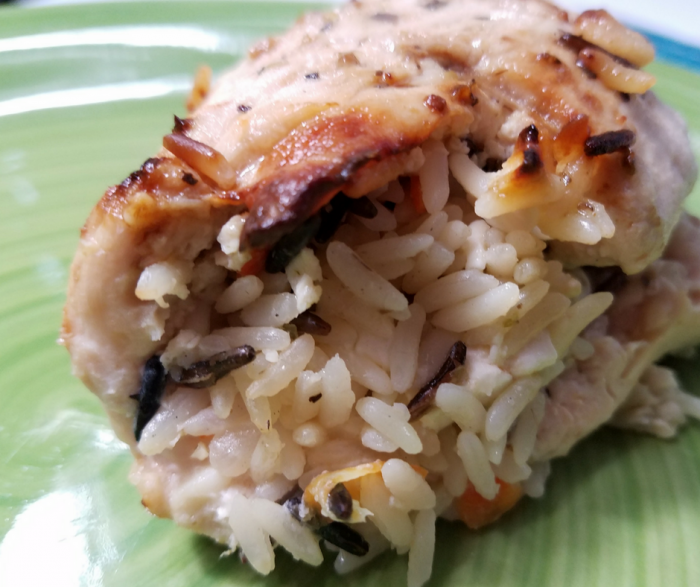 We love making simple dishes that everyone in the house likes. 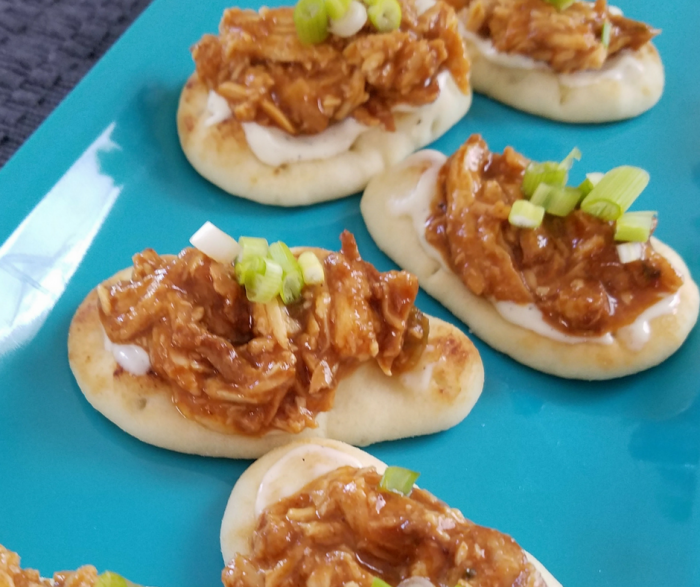 The best thing about these ranch bbq chicken naan bites is that I can make a batch and we all eat them with no complaints. The Wee Child leaves off the green onion, but that’s to be expected.